Marketplace-specific override options, as well as override types, will appear on the right. 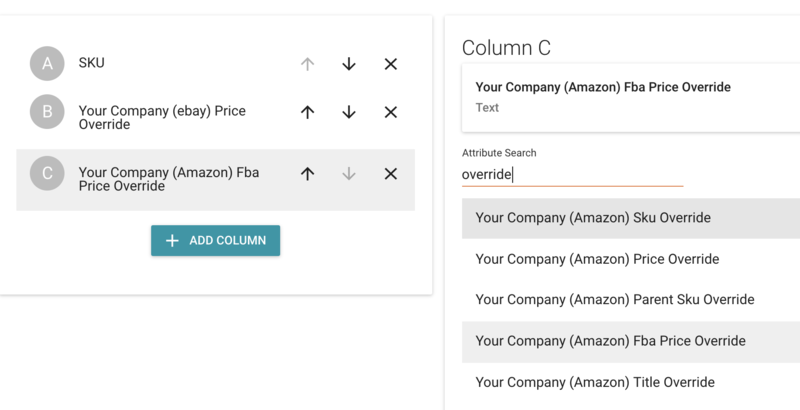 Include a column for any channel and any price, title, or description. Some examples might be Amazon Title Override, Bigcommerce Description Override - anything you'd like to override, include in the template as a column. 4. Fill in the Override fields in Excel or in spreadsheet software. Save the file. 5. Re-upload the CSV file into Zentail using the same template you created.